If performance and durability are what you seek, the DT Swiss Carbon XRC Spine will please you. 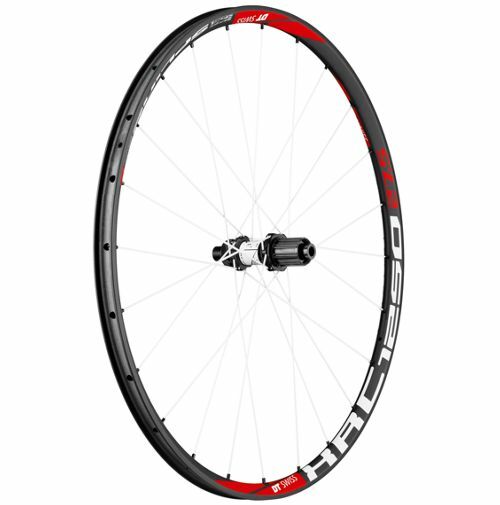 Light weight, carbon, wide and the Spline Ratchet System hub makes this wheel one to respect. People ride bikes for numerous reasons. Some want an environmentally friendly, cheap way to get around. Some are in it for the excitement. Others are in it for the way of life. Most just wish to be healthy and have fun! Whatever your reason, we’re here to help. You see, we love to ride bikes too, and we think that everyone should ride with us. Most items are shipped within one business day unless differently specified in the item listing. In-stock items purchased before 12 p.m. Mountain Time ship same day. You’ll be able to get an automated shipping email when your package ships.